I'm going to forgo blogging here this week because our new website is going to be revealed very, very soon. So I'll save it for that. In two or three weeks, we'll be revealing the new and VASTLY improved jamesdashner.com. You guys are gonna really love it. It'll be a much better place to gather, and the blog will live on there. As will lots of other stuff. It all started when my agent asked me, "James, isn't it high time you had a professional-looking website?" In other words, "James, your blog looks sucky." Not much longer! In the meantime, I thought I'd answer the next five questions of our Q&A. Also, be sure and read the shout-out at the bottom of this post! Logan Rutherford: How much I write per day really depends on what stage of the process I currently find myself. When I'm in full-bore first-draft writing mode, I usually do anywhere from 1,000 to 4,000 words per day. Then, during revisions, I think more in terms of time spent on editing and reworking. But with all my work combined, including promotion, it's definitely a full-time job. A fun one, but full-time. Mike Cholowicz: I always, always type and edit my books on my laptop. Using the good old-fashioned Word. Nothing fancy. I love being able to take my job anywhere I like, from the mountains to a library to a bookstore to my backyard. And my office, of course. I have an author friend who writes her books out longhand before entering them into a computer. Ugh. I could never do that!!! Carolyn: How did I get my big break? That's a great question. It seems like any successful author had a few lucky breaks and I'm no exception. I started with a small publisher, moved to a medium-sized one, then got on with Random House. Each step can be traced back eventually to someone I met at a conference or something like that. The biggest lucky break I've had? Having the right book at the right time when THE HUNGER GAMES became a huge phenomenon. Thanks, Ms. Collins! I'd write you a check, but... I think you're okay. BlondeTiger and Lady_Mel, among others, asked where I get my inspiration: Mainly from books, TV, and movies. It's a tough *coughcough* part of my job, but I do a lot of all three of those! They all combine to create an idea factory in my head, as well as teach me about what works and what doesn't work in storytelling. Plus they get me EXCITED about writing and creating. 1. To show that this was taking place in a different time and to give their language its own flavor. 2. To give their words a harshness - to match their environment - without getting banned from every school in the world. It wouldn't have made much sense for Minho to say, "Gee darn golly, there's a goshdang Griever up there!" I was being practical. Thanks for the questions. Are you bored yet? Wish you'd lost your eyeballs in a screwdriver mishap? Thanks anyway! Ok, I wanted to give a shout-out to a budding film project by the same guys who made the amazingly awesome book trailer for THE MAZE RUNNER. Please check them out on kickstarter.com, and become a backer. I did it, because I really believe in them and I know they are extremely talented filmmakers. Their future is bright. Sallie Mazzur: I'm not real big on reading books for a second time. There are so many good ones out there, I don't think I can ever get to them all, so I don't want to do repeats. But the one I've probably read more than any others is ENDER'S GAME by Orson Scott Card. Pherisphena Ladea: I'm not one to say never, but I can't imagine ever writing a book following up the events of THE DEATH CURE. That story is told, and I think any sequel would be extremely boring. However, I'd always planned on writing a prequel - at least one - and you guys can look forward to THE KILL ORDER this August. Dubloon: Thank you for calling some of my scenes "soul-sucking." I take that as a very high compliment! All I can say is I try my best. Something I've learned over the years is to show patience when you write. If you have an exciting or game-changing scene, sometimes you're temped to write it really fast. But you'll heighten the tension and strengthen the resolution by taking the right amount of time to get there. Robert MacGillivray: I appreciate all those who've asked about the potential movie for THE MAZE RUNNER. Believe me, no one on the planet wants this to happen more than I do. And I really think it's going to happen. I'm not allowed to say much, but it's public knowledge that Twentieth Century Fox optioned the rights, that a script has been written, and that things are moving slowly but surely. Stay tuned!!! 5 questions at a time seems like a good pace. Check back soon and I'll answer the next batch. And, as always, feel free to leave a question in the comments. Actually, I can't imagine that ever happening. Between all the many things going on in my career, your questions, touring, announcements, and my random urges to talk about pop culture, we should be just fine. Maybe we can use this blog post to collect some questions for me to tackle in the next few weeks. Who has one? Something you've been just dying to ask me? Ready set go. Live near Oxford Mississippi? Then head out to the Oxford Conference for the Book this weekend. I'll be doing a presentation on Friday and a panel on Saturday. I'll be at IRA in Chicago (May), BEA in NYC (June), ALA in Anaheim (June), and Comic-Con in San Diego (July), plus two book tours later in the summer and fall. More details to come, but that's just a heads up. My new website (coming soon!!!) will be up and running in time for those events and it will have a really great calendar system for my appearance schedule. Which reminds me, some people took it wrong last week when I said this here blog is going the way of the Dodo bird. I didn't mean I'd quit blogging. On the contrary, it'll be even better and more frequent. I just meant this tired old look is going away. I can't wait for everyone to see the new site! I'm proud to present to you the cover for INFINITY RING, Book 1: A MUTINY IN TIME, by yours truly. Read the official announcement at Publisher's Weekly: CLICK HERE. 1. Every day someone asks about the fourth and final book of THE 13th REALITY. Which makes me happy. I know you guys have been patient, and I'm thankful. I actually wrote it last year and it's getting very close to being officially announced for publication. It's called THE VOID OF MIST AND THUNDER, and I'm very proud of how it ends for Atticus and the Realitants. Stay tuned! 2. 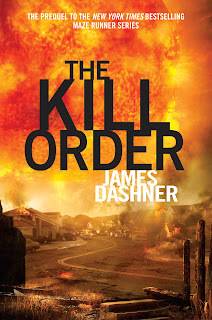 If you missed the reveal of the cover for THE KILL ORDER, be sure and CLICK HERE. I really love what Philip Straub and the design team at Random House have done with it. The book comes out August 14th. 3. There's going to be an amazing event in Utah on March 17, a writing conference where every penny of the proceeds go to charity. Unfortunately, I can't make it this year, but there will be plenty of amazing authors, including Brandon Sanderson, Shannon Hale, and many others. CLICK HERE to find out more. 4. It's not often I plug a business (never maybe? ), but I want to spread the word about my nephew's new venture, Aston Audio Productions in Atlanta. This guy is a music and sound guru and genius, and his company is already taking off. If you have any kind of need for audio production in any form, check out his website: CLICK HERE. And tell him I sent you! 5. I'm reading a book called CHILD 44 by Tom Rob Smith. And I really like it. It's basically a serial killer mystery story set in the Soviet Union in the 1950s. Reminds me a little of Dragon Tattoo. Anyway, something has really struck me. This latest surge in popularity for Dystopian novels has been a fun thing. Well, you should read this book if you like that sort of stuff. Because guess what, we've had plenty of dystopias in the PAST. I totally feel like I'm reading a book about the future, where an evil government has taken away all of your rights and identity and what makes you unique. Where people live in daily fear of being arrested at a whim. I'm not saying anything profound or new. But it's just really been interesting to read a historical fiction novel that feels like a future Dystopian world. Eerie. 6. A new website is in the works for all things James Dashner. It'll be going live in about a month and a half. This poor little sad blog page is finally going to retire and move to Montana, where it'll live on a ranch, wear diapers, and drink lots of prune juice. You'll be hearing a lot more, but the people responsible (for the new website, not the diapers and prune juice)... Warehouse 21. Stay tuned. That's all for today. How about this for the comments (if you actually made it this far): Any guesses or speculation on what you might see in the prequel this August? 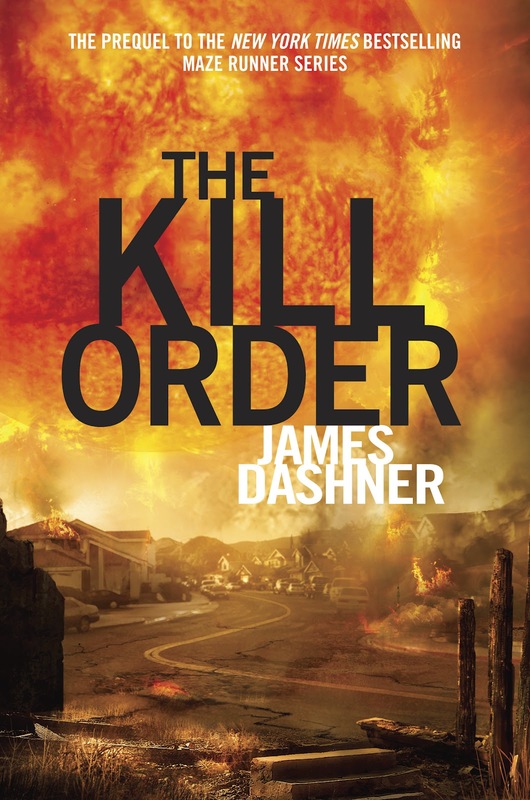 Here it is, the official cover for The Kill Order, a prequel to The Maze Runner series, coming August 14th (North America). Soon to many other countries and languages. I love the artwork by Philip Straub (he did the other covers as well, and I'd say he's 4 for 4). But that's not all. There's much more to come and to be announced. There'll be a new, and amazing, James Dashner website debuting in a couple of months. A place for all of us to gather. And maybe this is the year that the movie gets green lit for production. Who knows? And I might even have a new book written that you don't know about yet. Lots of fun things to come. 1. This is going to be a great year for movies and I can hardly stand the wait. Hunger Games, Dark Knight, Prometheus, The Hobbit, lots of other stuff. I have two things in my head constantly: the haunting chant from the Batman trailer and the cool song by the dwarves in the Hobbit trailer. Yowza, my level of dorkiness is truly disturbing. 2. By the way, weird thing about me: I don't usually watch trailers. I go to great lengths to avoid them because I HATE the spoilers. But I just couldn't resist with the two mentioned above. 3. What I'm reading: THE LITIGATORS by John Grisham. I know, completely random, but it'd been a long time since I'd read a Grisham book and I used to love them. It's pretty good so far. 4. Let's continue branding my dorkiness: I really, really liked the new Mission Impossible movie. I saw it twice. And I almost cried at the end of the second one solely for the reason that I thought, man, that was truly a masterpiece of tension and suspense. And plus I love Tom Cruise. He's so good at looking scared and anxious. It's good to have him back!!! 4.5. Not coincidentally, I'm imagining the main character in Grisham's book as Tom Cruise from The Firm. Boom. 5. I've also discovered the magic of some TV shows that I missed the first time around. Breaking Bad especially. Besides the holy and hallowed Lost, this is now my favorite show of all time. Excellent on every level. I seriously can't believe how good it is, and I'm so mad that I'm now caught up and have to actually wait for the fifth and final season. 6. Others I've discovered: The Wire, Dexter, and Boardwalk Empire. And, of course, sealing my dorkiness once and for all, I'm so happy to see the return of Downton Abbey. If you don't know what I'm talking about, please don't ask. 7. You may wonder, when does this lazy sack James Dashner actually write books? Well, I take a page from my idol, Stephen King (known to me as Uncle Stevie. And to millions of other people.) I need the creative stimulation of books, TV, and movies to keep my writing juices flowing. For example, an episode of a TV show is the perfect-sized break during the day, and gets my idea factory churning at full speed. 8. Yes, I realize I have the greatest job on Earth. And I NEVER take it for granted. I'm extremely thankful to my readers for allowing me to do the things I love for a living. 9. Let me know what kind of pop culture things you're enjoying in the comments! 1. Finishing up the prequel. I'm very proud of it and I think you guys are really going to love it. It may not be about what you think or assume it will be about. Let's just say there's a whole cast of new characters. And we see first hand all the horrible things that happened to make the events of the trilogy necessary in the first place. How's that for a teaser? 3. 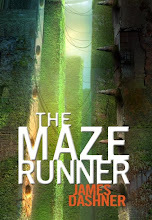 For you educators out there, I wanted to let you know about a really cool study guide that Random House created for the entire Maze Runner series. It's great for students and discussion. You can view it online, CLICK HERE. 4. I was really honored to have Death Cure chosen as one of nine "Best Books of 2011" for teens by Barnes and Noble. Check it out: CLICK HERE. 5. I've started a new program with my local indie bookstore, The King's English, to sign and personalize books for people who order them through their website. It's a great way for you to have my signature in your book if you can't make it to my events. For more information, CLICK HERE. 6. Is it me, or do we have a lot of links in this posting? It's starting to get annoying, so here's the last one: If you've had an uncontrollable urge to see a corner of my office, today is your lucky day! Scholastic does a feature where they show bookshelves of various authors, and they recently had me on there. Check it out: CLICK HERE. Don't forget to tell us in the comments about your pop culture likes or dislikes lately! Focus on the likes, actually. I'm very excited and honored to be a part of a very big announcement today! Infinity Ring, a new 7-book multi-platform series that is a collaborative effort between myself, the great people at Scholastic, and five other incredible authors: Jen Nielsen, Matt Kirby, Matt de la Pena, Carrie Ryan, and Lisa McMann. I've known about this for a long time, and it's so great to finally share the news with you guys. It's surreal and amazing to be working with Scholastic on a project this big. There'll be much more to come, but I feel like I can't say it any better than the New York Times. We're on the front page of the Arts Section today, so go pick up a copy! Or... you can read it online: CLICK HERE. Also, for more details, read the official announcement on the Scholastic website: CLICK HERE. The website and online game for this is going to blow you away. It's not live yet, but you can see the cool logo: CLICK HERE. I'm so incredibly excited about this! I'll blog again soon and give you more nitty gritty details.